Colorado are top of the table in group West with 32 points in the 16 matches played till now, one point above FC Dallas whereas P Timbers are sixth on the table with 23 points in the 17 games played till now, one score below Whitecap FC and above on goal difference from LA Galaxy who have played one game less. 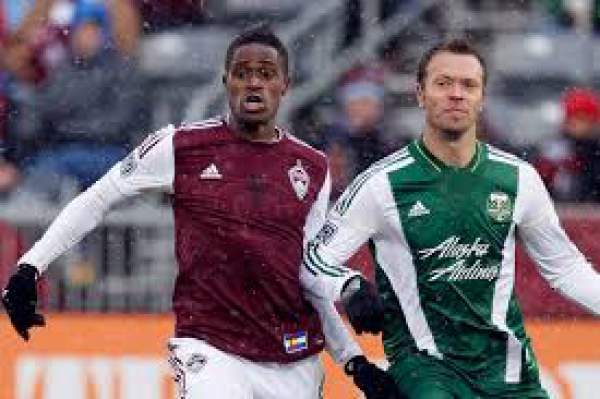 Colorado Rapids have won nine games, drew five and lost two in the 16 match played by them now, scoring 19 and conceding 11 goals in total till now. They have had a 49% average possession with a pass accuracy of 76%. They have been given a total of 40 yellow cards when we see their attacking stats, they have scored 21 goals from the 160 shots on goals with an accuracy of 51%. They have won two and drawn three from their last five games, winning against Seattle Sounders by 1-0 and Chicago Fire by 2-1 and drawing to LA Galaxy by 0-0, against the Philadelphia Union by 1-1 and against Columbus Crew by 1-1. They played their last game in the league against LA Galaxy and drew the match by 0-0, both teams shared an equal amount of possession; LA Galaxy had 12 shots out of which five were on target whereas Colorado had 14 shots out of which five were on target. Portland Timbers have had an average possession of 48% till now in all of their matches played with a pass accuracy of 78%. They have won six matches, drew five and lost six out of the 17 matches played in the league, scoring 28 and conceding 29. They have had 170 shots on the goal till now and have scored 29 times with an accuracy of 48%. They won three and drew two in their last five games in the league, winning against Houston Dynamo by 3-2 and SJ Earthquakes by 1-0. MacMath, Miller, Sjoberg, Watts, Powers, Hairston, Cronin, Pappa, Azira, Doyle. Gleeson, Powell, Borchers, Ridgwell, Taylor, Chara, Zemanski, Milano, Valeri, Mattocks, Adi. Stay tuned to The Reporter Times for latest MLS 2016 news and other worldwide football updates. Do come back for the match result, full highlights videos, complete scorecard, commentary, and much more. Who do you think will win? Share your views and thoughts.